A constituent called me this week and asked for an explanation of H3930, also informally known as the “Constitutional carry” bill. I am a co-sponsor of the bill. The House amended, approved, and sent the Senate H.3930, a bill providing AUTHORIZATION TO CARRY A HANDGUN IN PUBLIC WITHOUT A PERMIT, either openly or concealed, implementing what is often called “Constitutional carry” or “permitless carry” in South Carolina. In making its revisions, the legislation retains most of the current provisions relating to concealable weapons, including: the issuance of concealable weapons permits by the State Law Enforcement Division; the posting of notification that allows a business owner to prohibit concealable weapons on the premises; the homeowner permission required for carrying a concealable weapon into a private residence; and a list of places where concealable weapons are not allowed such as schools, daycare facilities, hospitals, courthouses, and the meeting places of government bodies. The new provisions for carrying a handgun lawfully in public, concealed or not, without a requirement for obtaining a concealable weapon permit apply only to those individuals who may legally purchase a firearm from a properly licensed and certified firearms dealer. The legislation specifies that the intent to use a handgun unlawfully against another person must not be inferred from the mere possession, carrying, use, or concealment of the handgun, whether it is loaded or unloaded. The legislation also provides for South Carolina to honor valid out-of-state permits to carry concealable weapons that are held by residents of other states, who are least twenty-one years old or military personnel of any age. H3930 impacts several different parts of the SC code governing firearms that makes the bill complicated to explain and understand. Different parts of the bill use “weapons”, “firearms”, or “handguns.” I will use “handgun” in place of all other terms. Note that this analysis is not a legal opinion as I am not a lawyer nor is it comprehensive. Also note that this analysis is based on the version of the bill passed by the House on April 5, 2017. The bill is pending in the Senate and will not be taken up for debate until the beginning of the next session in January 2018. H3930 would remove the requirement to obtain a concealed weapons permit in order to lawfully carry a handgun. H3930 would also make the current permitting system optional to allow citizens to obtain a concealed weapons permit and take advantage of reciprocity agreements with other states and the elimination of the background check requirement to purchase handguns. The bill also expands the ability of non-South Carolina residents to carry a concealed weapon in our state. A person may not carry a handgun, concealed or openly, with the intent to use the handgun unlawfully against another person. Intent cannot be inferred from the mere possession, carrying, use or concealment of the handgun, or whether the handgun is loaded or not loaded. 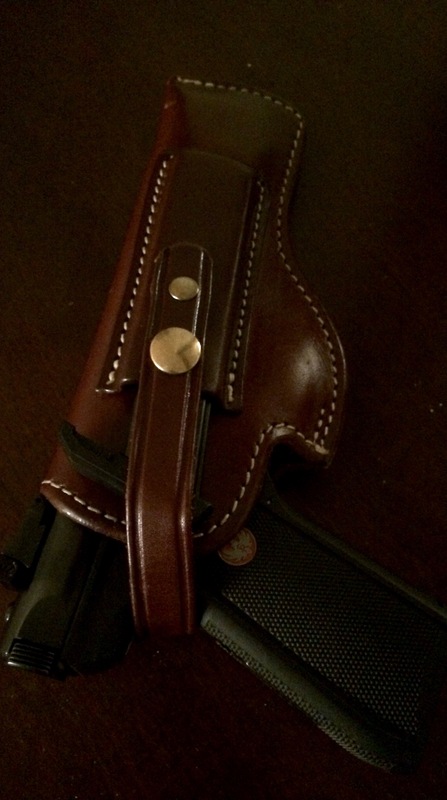 H3930 repeals certain laws that prohibited most people from carrying a handgun, concealed or openly. However, many places that were previously off limits to handguns remain so. These include, in broad terms, law enforcement stations, detention facilities, courthouses, polling places, county council meetings, city council meetings, school board meetings, special purpose district board meetings, school or college non-gun athletic events, any place where guns are prohibited by federal law, daycare facilities, pre-schools, medical facilities, and places clearly marked by the owner that firearms are not allowed. A person cannot carry a handgun into a place that sells alcoholic liquor, beer or wine for consumption on the premises if the person consumes alcohol on the premises while carrying a handgun, refuses to leave the premises or remove his handgun when asked by any person legally in control of the premises, or carries a handgun onto the premises when a notice has been conspicuously posted that handguns are not allowed on the premises. It remains unlawful for a person to knowingly possess a handgun on any premises or property owned or operated by a private or public school, college, university, technical college or any other post secondary educational institution. These provisions do not apply to person with a concealed weapons permit who keeps a loaded handgun in a locked motor vehicle and concealed from common observation. These provisions do not apply to a person who keeps an unloaded handgun in a locked container or locked firearms rack in or on a motor vehicle. A person may possess a handgun at church or religious sanctuary with express permission of the appropriate church official or governing body. Prior to this bill, people could not carry a handgun openly or concealed unless they were on their own property (leased or owned) or had a concealed weapons permit. The concealed weapon permit requires the permit holder to be twenty-one years old. This bill expands many of the rights associated with a concealed weapons permit about where handguns can be carried to all other people who otherwise can lawfully posses a handgun in South Carolina. The expanded rights extend to persons under age twenty-one. The bill retains the rights of the following persons to carry handguns without a concealed weapons permit: law enforcement officers, members of the military, members of clubs organized to shoot or collect modern or antique handguns while these members are engaged in club activities, licensed hunters and fishermen who are engaging in hunting and fishing, persons who repair firearms, and guards engaged in the protection of United States property. The bill adds to the list any person who has the permission of the owner or person in legal control of a residence or real property. These expanded situations include more options about how and where a person may carry and secure a handgun while in a vehicle. Under this bill, a person who owns the vehicle or has the permission of the vehicle’s owner while he is in the vehicle may secure his handgun under a seat or in any open or closed storage compartment within the vehicle’s passenger compartment. A person in the vehicle may conceal the handgun on or about his person. These expanded situations include when a handgun can be exposed to other people. Under this bill, a person may possess or expose a handgun while in justified defense of self, property or another person. A person in a vehicle may inadvertently expose a handgun to another person. A permit holder is not required to have his permit in his possession whenever he carries a concealed weapon. A resident of another state who holds a valid out-of-state permit and is twenty-one years old may carry a handgun according to South Carolina laws that govern concealable handguns. The age-twenty-one provision does not apply to members of the military. Clarifies that employers, private property owners, colleges, etc. can prohibit handguns even if a person has a concealed weapons permit. Under this Bill, are non US Citizen allowed to open or concealed carry? As an FFL (Federal Firearms Licensee and Gunsmith) in your district, I would appreciate seeing, and reading, the actual H3930 bill in its submitted form. This way I can comment knowing the actual wording. Thank you for the opportunity to read the full bill. As a NEW resident to Greer, SC, and business owner, I am impressed with the bill, in it’s current form. I do have my personal reservations about areas which are forced to be ‘Gun Free’ in nature, but overall, I like the bill. Please keep me informed as to the bills movements through the SC General Assembly.